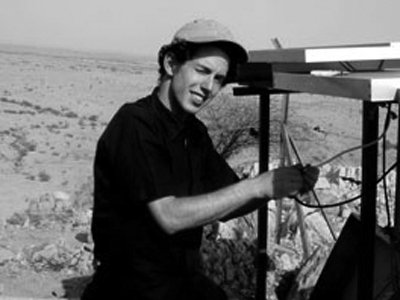 Max has spent the last 12 years installing equipment and training staff at community radio stations around the world. He designs and installs FM radio stations and recording studios and delivers workshops in radio production, radio drama, station management and engineering. Max specialises in working with people with no previous radio experience, to help them gain the skills and confidence to run their own radio stations and produce radio programming. This includes talk shows, debates, interviews, drama, music, story-telling and other types of programming. He has spent the last 18 years working with audio equipment as an audio engineer and DJ. He was a founder member of Chicago-based Radios Populares, a group that supports community radio stations in Latin America. He has worked on radio projects in over 30 countries inclduing Gambia, Malaysia, Sudan, South Sudan, Kenya, Tanzania, Mali, Honduras, Mexico, Nicaragua, Palestine, Chad, Guinea, Cameroon, Madagascar, Brazil and Nepal for UNHCR, EDC, ACTED and Internews among many others. From 2002 to 2004, he worked at Kirkegaard Associates, one of the world’s top acoustic and audio-visual design companies. Projects included the Royal Festival Hall in London, Atlanta Symphony Center and Orchestra Hall in Chicago. He has a first class degree in Music Systems Engineering specialising in low power FM radio station design from the University of the West of England, Bristol. Max speaks fluent English and working French, Spanish and Portuguese.